Discover the tray 3 cups faience, a set that will decorate your table the most beautiful effect and you will also decorate your table with a modern touch. 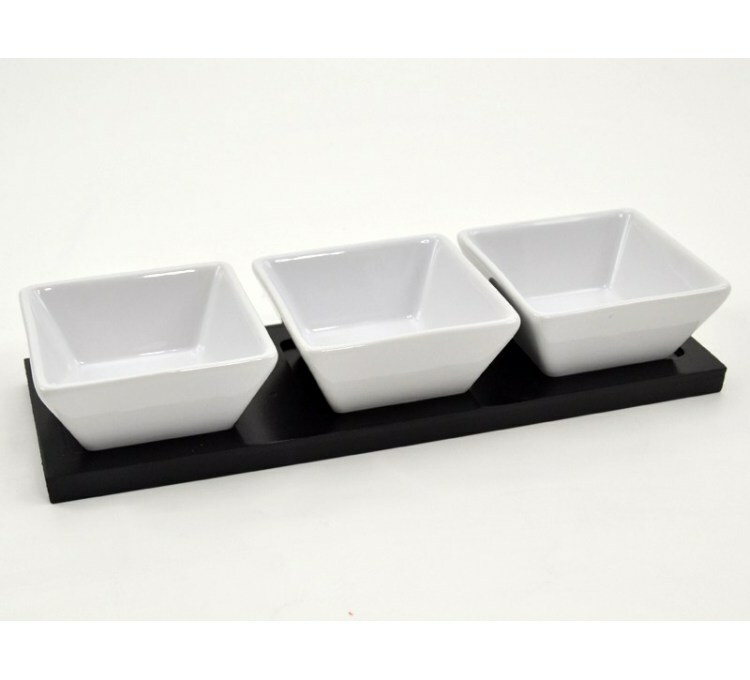 We present the tray 3 cups faience Graphik, a set of presentation dishes designed to have food on your table, such as starters or salad. Their design can adapt to any type of decoration. The tray is slightly hollowed to prevent the cups from falling during transport. The cups of this lot are 27 centimeters and can therefore contain a significant amount of food. The tray has a beautiful black color and the cups white earthenware can easily adapt to any interior decoration. The set is also very simple to maintain, faience retaining very little impurities. Their color also preserves durably, offering you excellent hygiene. The tray is slightly hollowed out and thus creates curbs on the lathe to prevent the cups from slipping and falling when you transport them.